Easter-worthy cocktails are filled with bright flavors, fresh seasonal ingredients, and a few indulgences like sweet chocolate. Whether you're hosting a traditional Easter dinner or a more casual brunch, there's sure to be a recipe that fits your style and taste to help you celebrate the spring holiday with family and friends. 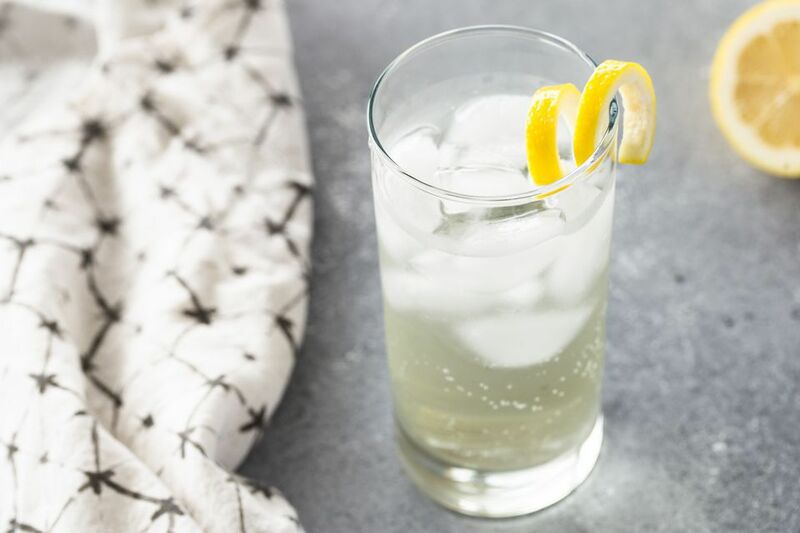 Simple and sleek, this sparkling cocktail is perfect for Easter brunch and it will pair well with any food you're serving. The Elderflower Cocktail is delightfully easy, too. All you need is an elderflower liqueur, Champagne or dry white wine, club soda, and a few guests willing to share the pleasure of drinking it. The Easter Bunny is probably the most appropriate drink for the occasion and it's hard not to love it. This simple cocktail is sweet and delicious, featuring a rich chocolate liqueur that will mix perfectly with your favorite vodka. It gets even more luscious with the cherry brandy and chocolate syrup float that floats on top. Break out that bottle of sparkling rosé wine because this is a can't-miss cocktail for your spring celebration. The pretty-in-pink drink combines strawberry vodka and basil simple syrup (both are easy DIY projects) with pear nectar. It's also an easy recipe to transform into a big batch if needed. Channel your inner Easter bunny with a tasty carrot cocktail. The Bugs Cutty is not as simple as spiking your carrot juice. No, this is an impressive scotch cocktail that celebrates the veggie with the addition of an amaro and Yellow Chartreuse. It's a sophisticated and savory drink you'll simply have to try for yourself. The Vanilla Rose is for anyone who loves to make their own cocktail ingredients. This intriguing vodka martini goes infusion crazy and has the loveliest floral aroma thanks to the rosemary vodka and lavender simple syrup. The muddled vanilla bean adds a nice sweetness that balances out the drink perfectly. Bright and lively, the Pineapple and Sage Gimlet is an ideal pitcher drink for Easter Sunday. The recipe will serve five people and is an absolutely lovely mix of its namesake ingredients. It's a fun twist on the classic and refreshing gimlet that is sure to please. This cocktail truly the "Bee's Knees" and it's delightfully straightforward to make, too. Straight out of the Prohibition era, this recipe is a fabulous way to dress up gin. Add honey and lemon juice and you're all set to enjoy a spring delight. Pear-infused vodka makes some of the most enticing cocktails you'll have the pleasure of drinking. In the Tuscan Pear, it's mixed with the luscious flavor of limoncello, the sweet snap of ginger liqueur, and crisp acidity of orange juice. With a fresh mint and pear garnish, it will become a very nice addition to your Easter spread. The Apricot Sour may be unassuming, but it is a brightly-flavored cocktail that glows like the spring sunshine. It requires just two ingredients and you can adjust the apple brandy and sour mix (homemade is best) combination to suit your personal taste. Easter is a perfect excuse to indulge in a little chocolate and the Grasshopper fits that desire perfectly. This wonderful green martini is a simple mix of mint and chocolate liqueurs, so it's ideal for dessert. You can spruce up the creamy concoction and make it even more decadent with a chocolate or graham cracker rim. It's true that there's a sangria recipe for every occasion. For Easter, this raspberry lemonade variation is a fantastic choice. Mix up some lemonade, slice a few lemons, and wash fresh raspberries, then combine all the ingredients and you're done! Lavender is one of those flavors that offers an instant reminder of spring and that's why this margarita is a perfect pick for Easter. The herb is infused into a simple syrup and it's paired with an aged tequila and fresh lime juice to create a cocktail you will not forget anytime soon. Tea is an ideal drink for Easter lunch, but there's no need to serve it in an ordinary way. A special day like this requires a special recipe and the Royal Tea should do quite nicely. In true British fashion, a London dry gin is paired with the iconic Earl Grey tea, then the brew is enhanced with a little lemon and sugar. Mimosas are a favorite drink for brunch and you can add a beautiful new version to your Easter table. The Pomegranate Tequila Sunrise brings together two fabulous cocktails and the recipe will serve eight people, so there's no need to stress about what to drink with your meal. For many people, Easter Sunday is all about taking the time to just sit back and relax. Few drinks can help you do just that like the Whiskey Daisy. 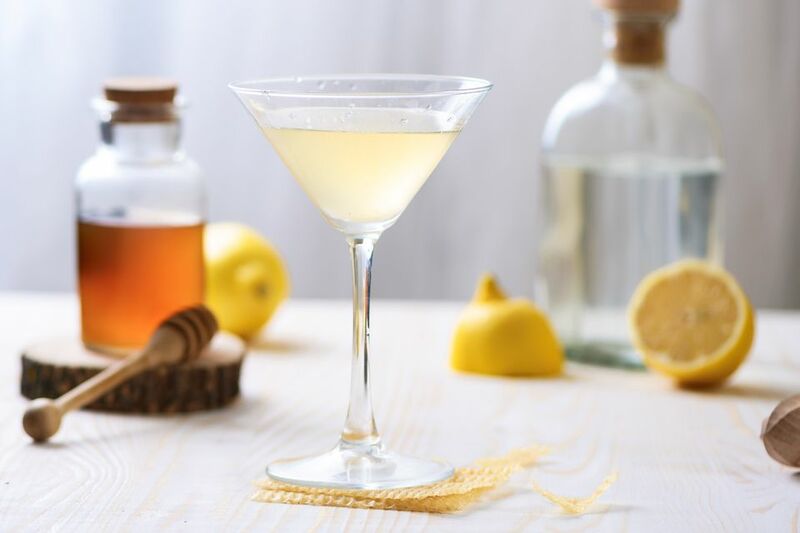 This classic cocktail is a smooth sipper, featuring a whiskey of your choice accented with Grand Marnier, lemon juice, and simple syrup. Add a splash of soda and you're in for a real treat.